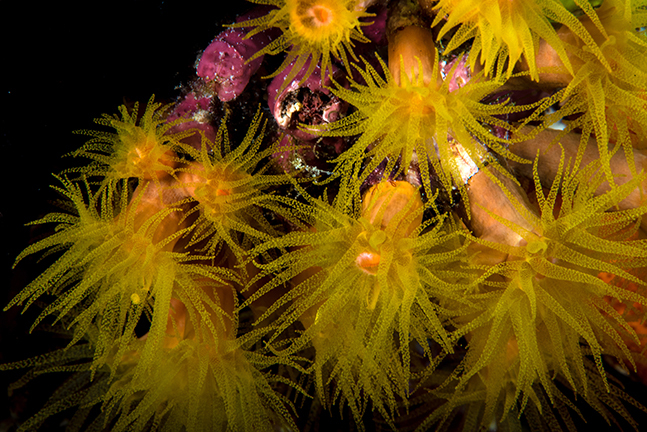 Goniobranchus sp. 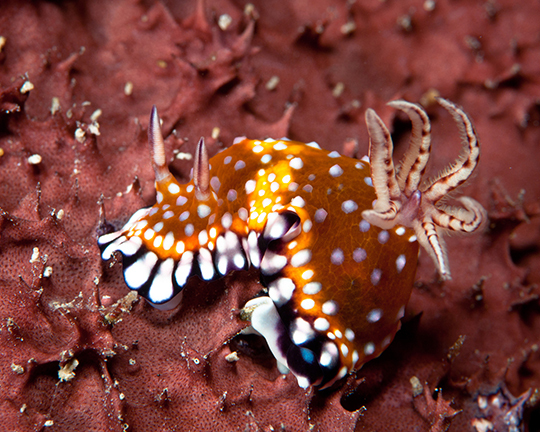 nudibranch, Great Barrier Reef, Australia. Photo by Brandi Mueller. Love and respect for this massive reef system goes back many years (possibly with the exception of Captain James Cook, who found himself run aground on it). It has been a marine park since 1975 and is a UNESCO World Heritage Site. The amount of marine life that call it home include over 1,600 species of fish, 630 echinoderm species, 450 species of coral, 30 species of whales and dolphins, 14 species of sea snakes, and over 3,000 mollusk species. 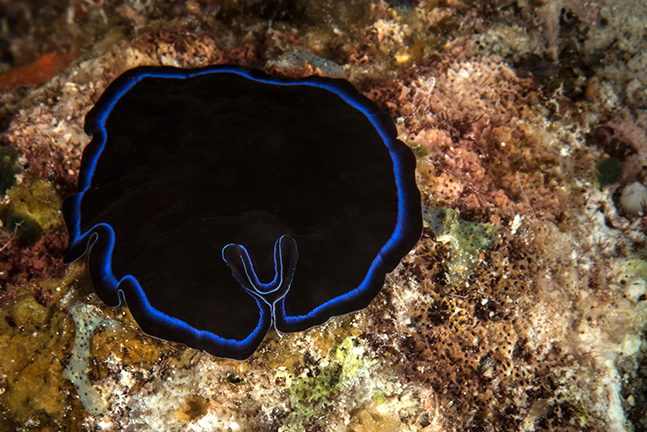 Just Heron Island alone has been documented to have 300 species of nudibranchs. Just a touch south of the Coral Triangle, which is the most biodiverse region of marine life, the Great Barrier Reef has extensive biodiversity all on its own. Many endangered and threatened animals live in or visit the Great Barrier Reef, including the vulnerable dugong, friendly dwarf minke whales, and six species of sea turtles which lay their eggs on beaches within. But there is so much more to the Great Barrier Reef than just the big stuff! 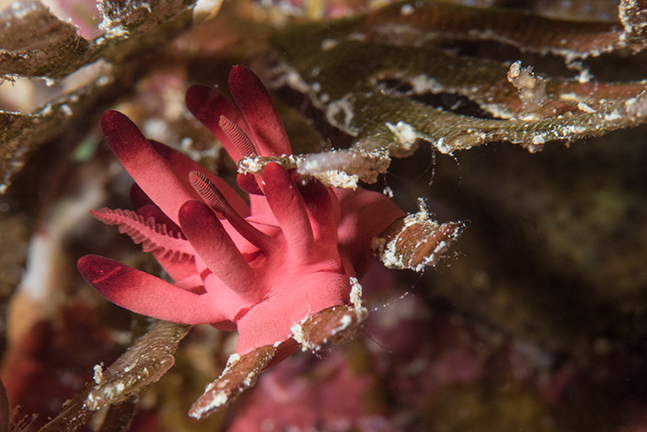 I would argue that any dive site can be good for viewing little stuff, but the Great Barrier Reef has some sites that are perfect for critter hunting. My favorites include Lighthouse Bommie which is a coral pinnacle that starts around 30m (100ft). 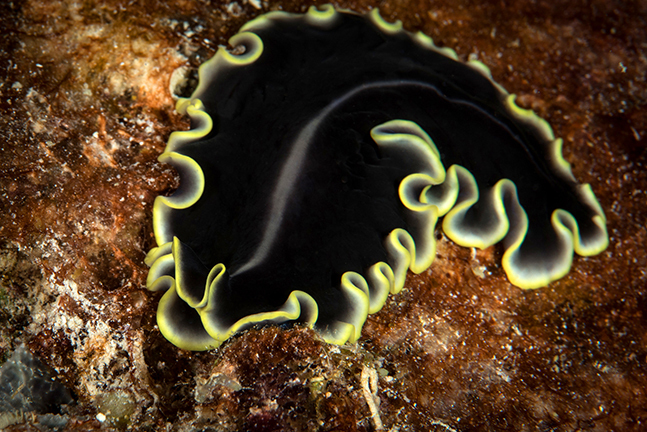 On the bommie itself, divers often find many species of nudibranchs and flatworms. Pixie Pinnacle is another bommie with plenty of fish life. 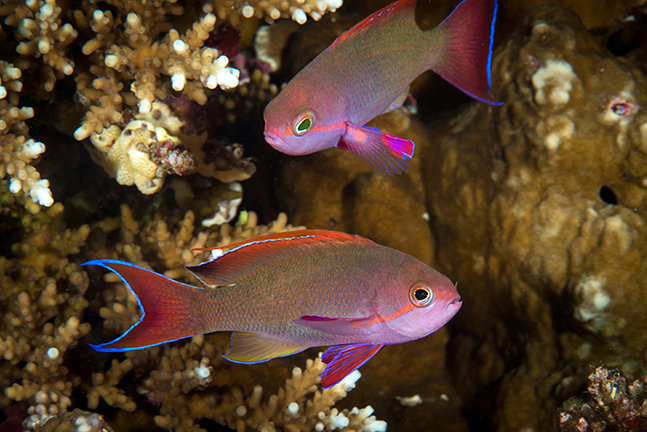 Every time I dive there, I liken the “pixies” to the thousands of purple, pink and orange anthias that flit about the bommie. 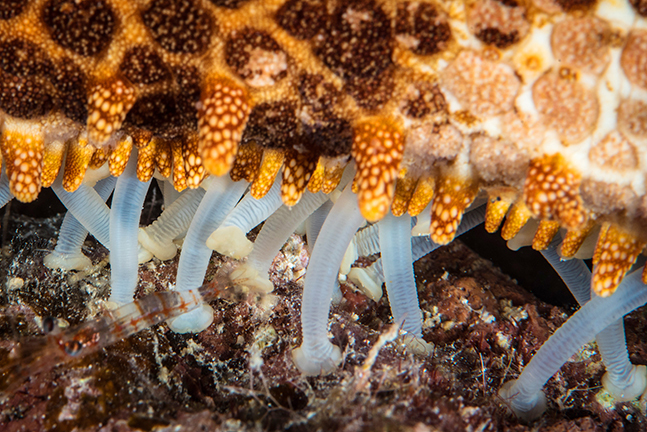 It is also a great site for nudibranchs, colorful anemones with anemonefish, lionfish, and cleaning stations where fish come to be cleaned by cleaner wrasse, which remove parasites from the fish. Snake Pit (yep, you guessed correctly) has a large population of olive sea snakes. These can be great photo subjects for macro or wide angle. The famous Cod Hole has plenty of small stuff to see if you can take your eyes off the huge potato cods for which the site is known. Sometimes, the cods are being cleaned by the tiniest cleaner wrasse. 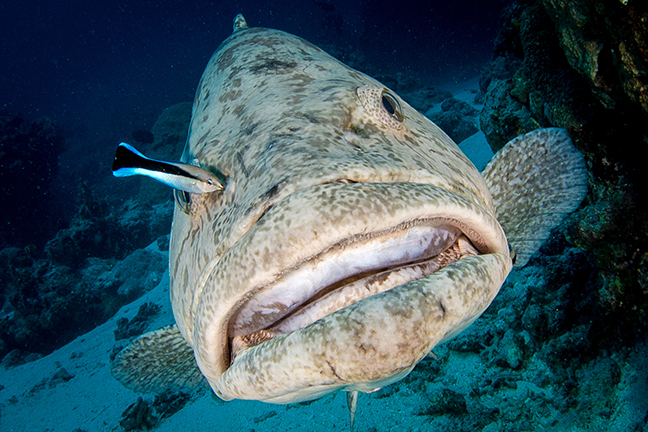 When they open their mouths wide, you can see the wrasse around their teeth. 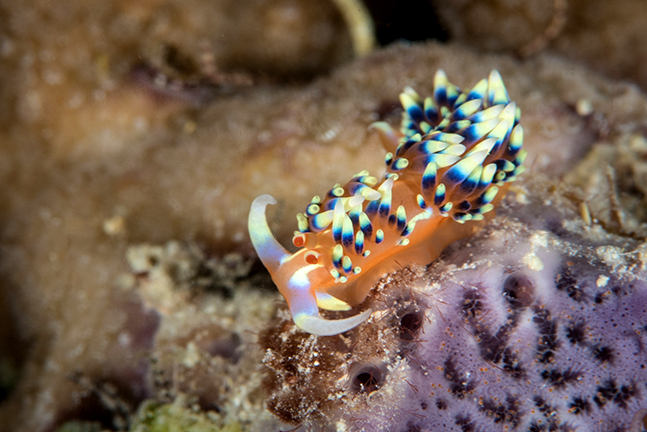 Nudibranchs,as well as anemones and lots of other fish, can be seen around the site. Steve’s Bommie is another coral pinnacle great for spotting false clownfish, leaf scorpionfish, nudibranchs and flatworms. 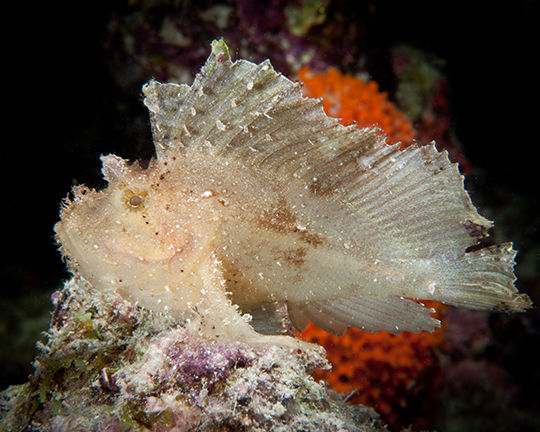 Night dives on many dive sites are almost always good for spotting little creatures, partly just because of how we dive at night. We slow down and are limited to the small beam of our flashlights, so our focus changes to examine only small areas at a time. 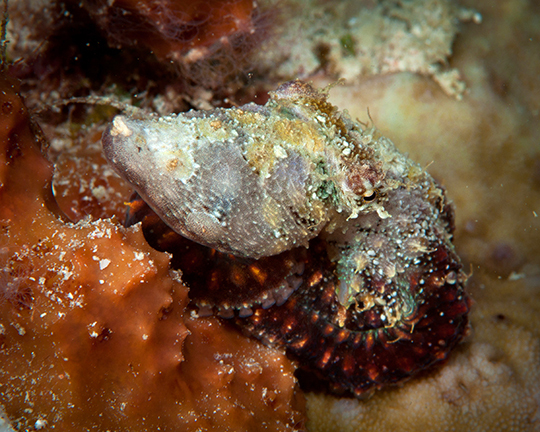 The Great Barrier Reef has excellent night dives, which are some of my favorite times to find the little stuff.